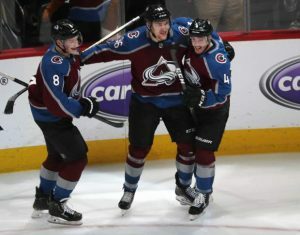 DENVER — Sven Andrighetto scored twice, Semyon Varlamov stopped 30 shots before leaving in the third period with an apparent injury, and the Colorado Avalanche continued their playoff push with a 5-0 victory over the Chicago Blackhawks on Friday night. 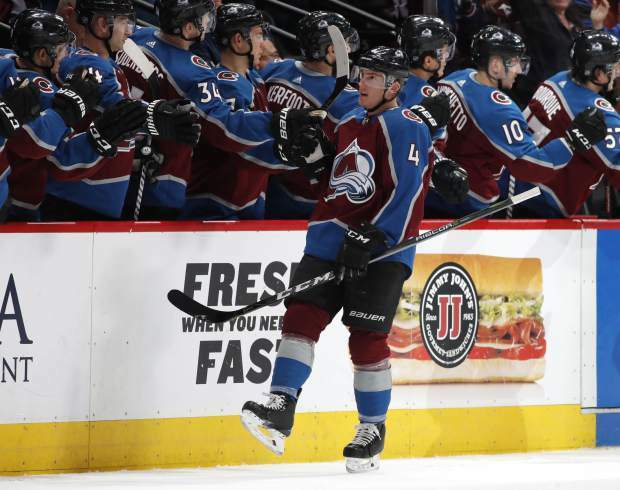 Tyson Barrie, Mikko Rantanen and Tyson Jost also scored for an Avalanche team that remains in contention a season after finishing with a league-worst 48 points. Varlamov was cruising along until a Chicago player ran into his left pad with 6:25 remaining. Jonathan Bernier came in and finished the Avalanche’s 27th home win, which is tied for second-most in franchise history. Collin Delia stopped 31 shots for Chicago. He made his NHL debut the night before, but left in the third due to cramps. That opened the door for Scott Foster, a 36-year-old accountant who made an emergency appearance and became an instant feel-good story. Colorado converted each of its three power plays. Rantanen’s goal with the man advantage in the third came from a feed from Nathan MacKinnon, who now has 93 points. It’s the most by an Avalanche player since Joe Sakic had 100 in 2006-07. Barrie gave the Avalanche a 2-0 lead at 8:14 of the second period with a shot near the blue line. Barrie then saved a potential goal minutes later when he swatted away a puck that had trickled through the pads of Varlamov, who was back in net after missing a game with an illness. Andrighetto scored the game’s first goal on a power play late in the first period. He skated in, split two defensemen and lifted a shot over Delia for his first goal since Dec. 23 at Arizona. He has missed a total of 31 games with what’s been termed by the team as a lower-body injury. Chicago called up goaltender J-F Berube on the heels of Foster’s appearance against Winnipeg on Thursday. Foster was summoned into action when starter Anton Forsberg was hurt during pregame and Delia, who was just recalled from the minors, went out with cramps. The NHL adjusted its rules last summer to mandate that teams have an emergency goalie present for all home games ready to fill in for either side. 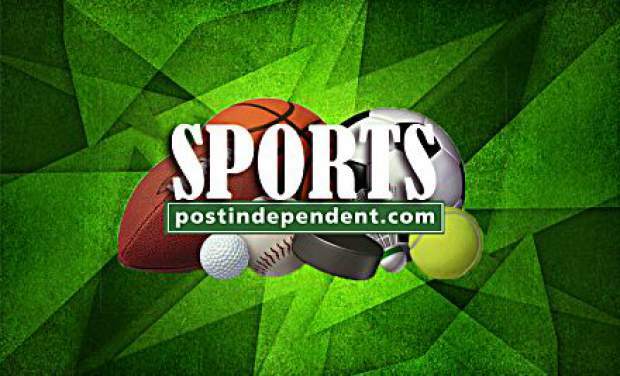 Foster, a former goaltender at Western Michigan University, stopped all seven shots. 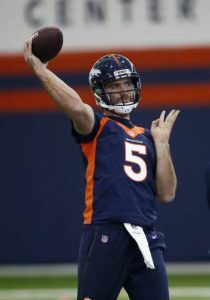 Foster made an immediate impression. Blackhawks: At St. Louis on Wednesday. Avalanche: Start a three-game trip Sunday in Anaheim. NOTES: Blackhawks D Blake Hillman made his NHL debut. 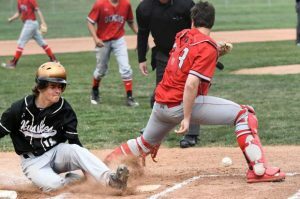 He recently signed a two-year deal with the team after playing down the road at the University of Denver. … Bernier is quickly mending after suffering a cut on his finger that became infected. “It was pretty bad,” Bernier said. “Lucky enough, didn’t need surgery.” … Avalanche D Erik Johnson was a late scratch with a lower-body injury.